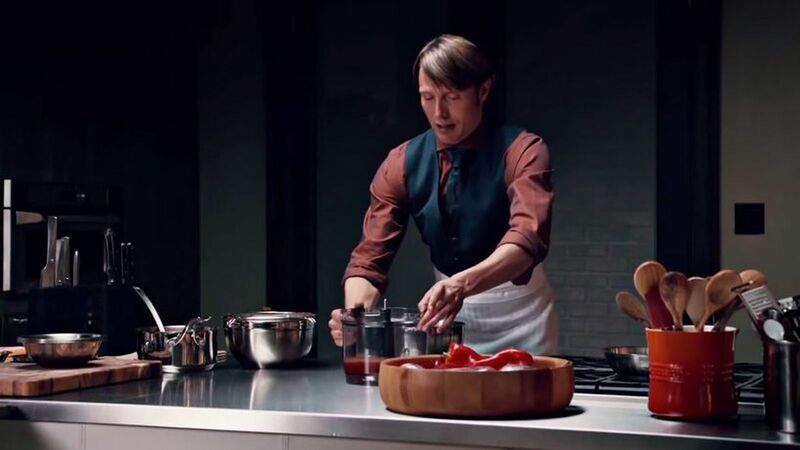 This is a re-cut that imagines NBC’s Hannibal as a kind of Food Network-y reality competition show called Hannibal’s Celebrity Kitchen. The editing is pretty on-point, especially the bouncy music and jerky, reality shows camera move. And using clips from the actors’ press interviews about the show as the fake show’s interview cutaways was an inspired decision, as was pretending that the celebrities were at the table themselves, instead of in character. You can watch Hannibal on Netflix here.